Six photos of this 2 foot 6 inch gauge railway. Superior, Kemsley mill, September 1969. Kerr Stuart 0-6-2T 4034 / 1920. 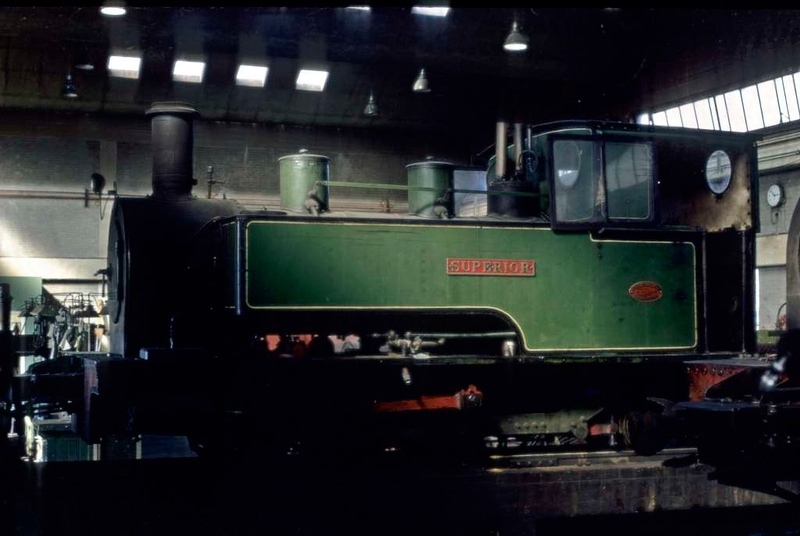 Superior was built new for the Bowater's Paper railway at Sittingbourne, Kent. It moved to Whipsnade in 1970, after the Bowater's railway had closed. Photo by Les Tindall.